Down lovely Newark to a home that could accommodate a variety of owners/users. It's shaded from the heat and easily entered from the front. The very large 6350 SF lot is surrounded by a cyclone fence which will protect any and all of your foliage of the future. 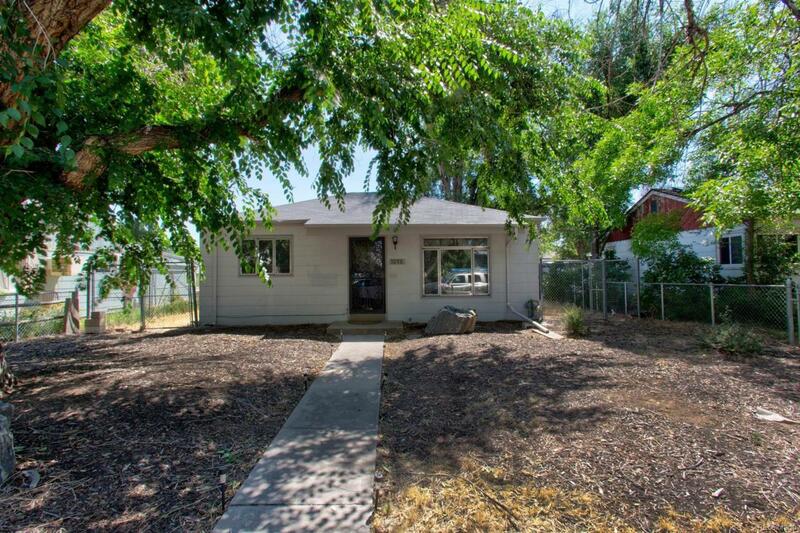 The new occupant may want to connect the detached garage thru the fence to the alley behind this property. First impressions of the living room are well-kept and roomy. The kitchen appears refurbished and is adjacent to the laundry equipment for easy use. Down the hall to the sparkling bathroom which is especially useful with its shower over tub surrounded by gleaming white tiles. The carefully preserved wood floors support the living room, the hallway and both bedrooms. You will find this home a positive decision for your future.